The recent Democratic Party meetings have been well attended, nearly equaling in size the attendance at the established Republican Party meetings. 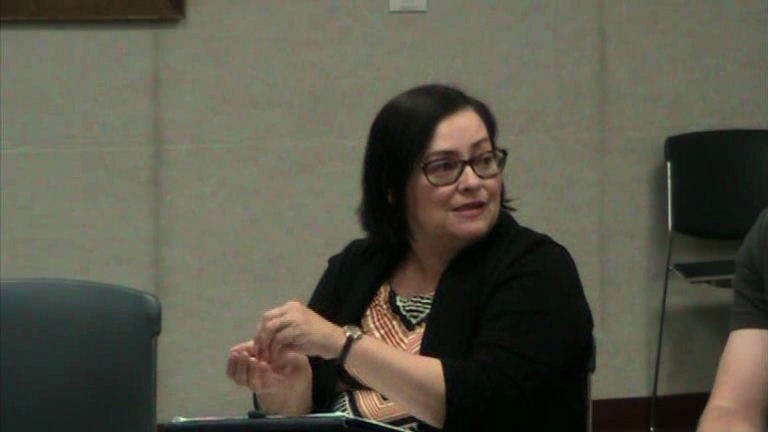 The Democratic candidate running in the 117th House District, Deborah Gonzalez, has been aggressive in reaching out to Oconee County voters, attending party meetings and holding a session with citizens in the Oconee County Library in late June. The motivating issue for many of the Democrats who have spoken up to date has been inclusivity and civility in politics. The appeal of that issue to voters more generally and how it will play out in the upcoming election remain uncertain. Six candidates have qualified to run in the two special elections on Nov. 7. Gonzalez and Houston Gaines, both residents of Clarke County, have qualified in the 117th. Gaines is running as a Republican. Tom Lord, Steven Strickland and Marcus Wiedower have qualified in the 119th as Republicans. Jonathan Wallace has qualified as a Democrat. All four of the candidates running in the 119th live in Oconee County. The Oconee County Democratic Party is holding a meet and greet at 3 p.m. on Sept. 24 at the Oconee County Library in Watkinsville for candidates in the Watkinsville City Council races on the ballot on Nov. 7. Pam Davis, Democratic Party secretary, said that all three Watkinsville City Council Post 2 candidates, Connie Massey, Jennifer Gude, and Wade LaFontaine, have been invited, as have Post 1 candidate Brian Brodrick and mayoral candidate Dave Shearon. Candidates in Watkinsville city elections do not run with a party label. The names of Shearon and Brodrick as well as of Massey, Gude and LaFontaine all will be on the ballot in November, even though Shearon and Brodrick are running unopposed. Brodrick and Massey are incumbents, though Massey has stepped aside to be appointed to fill the unexpired term of former Mayor Charles Ivie, who resigned because of illness. Oconee County Area Republicans is holding a meeting starting at 6:30 p.m. on Sept. 30 at the Community Center in Veterans Park featuring Tom Lord, one of the candidates for the 119th Georgia House District seat. Lord has been asked to speak about his campaign and answer questions from the audience. Tammy Gilland, Oconee County GOP chair, announced at the group’s meeting on Aug. 24 that the Party also will hold a meeting for candidates for the two House District races. Gilland did not announce a date for the gathering. We have invited all six of the candidates in the two special elections to attend, and all but Gaines have confirmed they will participate. The 117th and 119th House Districts were created by the General Assembly in 2011. Three Oconee County precincts, Athens Academy, Malcom Bridge and Bogart, join precincts in Barrow, Clarke and Jackson counties to form the 117th. The three Oconee County precincts in the 117th border Barrow, Clarke and Jackson counties. The 119th is made up of the remaining 10 precincts in Oconee County as well as southeastern Clarke County. The last Democrat to run for a seat in the Georgia General Assembly from Oconee County was Dan Matthews, now a City Council member in Watkinsville. That was in 2011 in a Special Election for the old 113th House District. Regina Quick, a Republican, has represented the 117th since it was created in 2011, and Chuck Williams, also a Republican, has represented the 119th since its formation. Both stepped down because of appointments by Governor Nathan Deal, Quick to a judgeship and Williams as director of the state Forestry Commission. The schism in the local Republican Party goes back to early this year, with the group initially called the New Oconee County Republican Party. It changed its name to the Oconee County Area Republicans following the County Convention in March, when a new slate of county officers took control of the traditional party. GOP Chair Gilland defeated Sarah Bell and Adam Spence for the chair position, but Bell told me last week that the division is more about ideology than about personality. The Oconee County Area Republicans are more conservative, according to Bell and to the group’s Facebook page. Bell said several people, herself included, participate both in the Oconee County Republican Party and in the Oconee County Area Republicans. Four Oconee County women created a group called the Oconee Progressives shortly after the inauguration in January in response to the anti-immigrant language of the 2016 presidential campaign. The women claim the group is not partisan, though they acknowledged that they are individually, and several are active in the Oconee County Democratic Party. At a recent meeting of Oconee County Democrats, Fabiana Hayden, one of the four women, said that the Oconee Progressives had just completed a workshop for about 20 parents seeking advice on how to help their children respond to bullying. The four women said in the video session I held with them that a concern with how their children were treated in school and how their children stood up to anti-immigrant language of other students was a central concern they had in forming Oconee Progressives. Similar concerns were prominent in a session that Margaret Holt, a retired professor of Adult Education at the University of Georgia and former Oconee County Democrat Party chair, organized for Gonzalez in late June. Holt had invited people from the community interested in sharing their concerns with Gonzalez to attend a session at the Oconee County Library in Watkinsville, and about 20 people showed up. Susan Thomas, a professor of music and women's studies at the University of Georgia and an Oconee County resident, was quite outspoken at that meeting about her concerns about inclusion and about the area’s representation in Atlanta. “I’m really interested in having representation coming from the Athens area that speaks to Athens’ needs,” she said. She mentioned the higher educational aspirations of undocumented residents as one of her primary concerns. Thomas received her doctorate in musicology from Brandeis University, and her research interests include music and gender, with a particular focus on Cuban and Latin American music. Both the 117th and the 119th House Districts include parts of the campus of the University of Georgia, and many with a perspective similar to that of Thomas live in both of the districts. I live in the 117th District, and it is only fair to say I am one of those with a strong international focus. I came to the University of Georgia in 1997 to run an international center in the Grady College of Journalism and Mass Communication. I have done programming, lectured, and taught around the world with journalists and communication educators from Papua New Guinea, Fiji, Ethiopia, Serbia, Saudi Arabia, Syria, Chile, Peru, China, Malaysia, and many more places, including almost all of Western Europe. I also have recruited and taught students from around the world in my career at Syracuse University, Ohio State University, and the University of Georgia. And the faculty of the Grady College includes faculty members from Panama, Venezuela, Israel, Serbia, China, India, Singapore, Korea and Canada. Gonzalez seized the opportunity of that June meeting in the library to talk about her own background. She said her family comes from Puerto Rico. Her father, a factory worker, served in the U.S. military, she said, and her mother was a secretary. Gonzalez is part of the University of Georgia community, having held a position at the J.W. Fanning Institute for Leadership Development, a unit of Public Service and Outreach at the University of Georgia. Her opponent, Houston Gaines, is a part of the University of Georgia community as well. Gaines was University of Georgia student government president in academic year 2016-2017. While at UGA, Houston was an honor student in the School of Public and International Affairs and studied abroad at the London School of Economics. None of the four candidates in the 119th has a strong tie to the University of Georgia, but one of them is going to be representing the interests of the university, its faculty and students in the legislature. Penny Mills recorded the video of the meeting involving Gonzalez on June 27, 2017, at the Oconee County Library in Watkinsville. I uploaded the video shortly after Mills recorded it but have not written about it until now. I arrived late at the meeting because I was attending a Board of Commissioners meeting that same night. The individuals meeting with Gonzalez were spread around the room, and no microphones were used. Many of those present did not speak loudly enough to be picked up by the microphone on the camera. One exception is Gonzalez, who was facing the camera and spoke so all of those in the room could hear her. Her comments on her background and immigrants begin at starts at 39:37 in the video. OCO: Gonzalez 6 27 2017 from Lee Becker on Vimeo. A clarification: The Oconee County Republican Party is NOT "split." The Oconee County Area Republicans is not an official or chartered organization with any intent to compete with the formal Party. It is on the ground floor of forming a loosely organized platform for grassroots discussions in a less formal manner, the discourse of issues among interested and active participants, and provide a platform for current leaders, or candidates seeking such leadership positions, to engage within a more intimate setting. The OCAR will be an attraction for an open and civil forum eye-to-eye. It is an excellent and superior method to sharpen a message and defend it. All conservatives who plan to vote for a Republican are welcome.